This post was made possible by Bluehost through compensation. The actual contents and opinions are the sole views of the author, who maintains editorial independence, even when a post is sponsored. For more details, please read our disclaimer. Freelance development is just about being an insanely hot programmer, right? Right? Wrong. There’s one bit of freelancing which is harder than any challenge you’ll find on Project Euler. It’s the bit which brings in the bacon. And it’s ridiculously hard. That bit is called customer discovery. Having marketable skills is awesome. With respect to programming, it’s something which requires a huge amount of dedication and a significant expenditure of time. However, this directly doesn’t put money in your pocket. Being able to identify potential customers does, however. Sadly, this is one of those soft-skills which often escapes those who exist in a purely technical realm. But, much like software development, it is something which can be learned. So, What Does This Have To Do With WordPress? WordPress powers much of the Internet, including MakeUseOf. For developers, it is a veritable gold-mine. However, this has had a knock-on effect of making the WordPress development sphere a very crowded one indeed. Freelance jobs-board Elance lists (at the time of writing) 18,120 WordPress developers. There are even 7295 people on Fiverr Fiverr - A $5 Marketplace For Anyone Looking For A Service Fiverr - A $5 Marketplace For Anyone Looking For A Service Imagine you’ve got a photo of yourself or a friend which you really like, but you know it could be made perfect with just a little Photoshop magic. What you really need is a friend... Read More who are willing to sling WordPress code for the princely sum of five-bucks. You read that right. Five dollars. There are a great many more places 5 Websites Where Freelance Writers & Coders Can Find Work 5 Websites Where Freelance Writers & Coders Can Find Work Freelancing has its benefits, but the difficulty comes in finding people and companies to whom you can market yourself. Fortunately, there are now more places to find freelancing gigs than ever before. Read More where developers look for work, and I imagine that I would find similarly sizable amounts of WordPress developers looking for freelance employment. This is a field which has became insanely commoditized, and the competition for clients is hugely fierce. It also means that those who are just starting their careers as freelance WordPress developers have to compete against a plethora of talented, seasoned individuals. Despite that, it’s still possible to launch a thriving WordPress freelance consultancy business. Here’s how you can find your first customers. 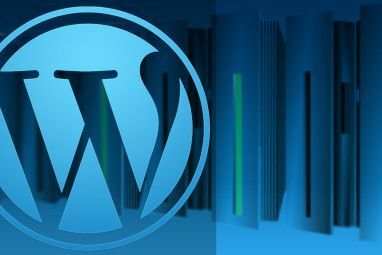 Bluehost offers one of the easiest ways to set up a WordPress website. Start your own from $2.95 a month. I like Twitter, but for a reason which you may find surprising. People complain on it. Like crazy. To a degree which probably wouldn’t be socially acceptable in the real world. They complain about their commutes. They complain about the idiot barista who got their coffee order wrong. They complain about the technology they use. A cursory search on Twitter for ‘f**king #Wordpress’ unearths a horde of frothing, angry WordPress users each with their own problems and they’re all going completely frothing mad about something or other. Caching. Guestbooks. This is a great opportunity examine their site’s source code, find the culprits, then approach them and ask if you can help. To create a human connection, which can later be transformed into a valuable business opportunity where both parties benefit. Admittedly, there’s a degree of etiquette involved here. Not everyone will be looking for a WordPress consultant to storm in and save the day. It’s important to recognize this and to avoid being seen as pushy or forceful. Twitter is a potent tool in any freelancer’s toolbox. As a bidirectional medium, it allows you to not only market yourself to potential clients, but also to be marketed at. A significant part of this is building up a presence as an authority on Twitter. By creating a public persona as someone who not only is deeply passionate about WordPress, but also possesses a potent aptitude for the platform, you’ll soon find yourself inundated with people eager to take advantage of your services. The same is true for blogging. I have a personal blog, which I use to write about software development and web design. I try to update it regularly with quality, well-written content. I also ensure that my personal contact details are easily accessible, so that should anyone wish to follow up with me about a blog post can do so with ease. With respect to my own personal experiences, I have found that I regularly get people contacting me to see if I would be interested in a job. And I’ve even found paid, reliable work with my blog in the past. It really does work. Launch your own website with Bluehost. Hosting starts at $2.95 a month. If you want to be a bit more proactive, you can always go looking for gigs on Twitter yourself. A cursory glance on Twitter for ‘Wordpress Needed’ shows countless people advertising gigs for WordPress developers. If you’re eager to read further on how you can use Twitter to find your next job How To Use Twitter To Help You Find A Job How To Use Twitter To Help You Find A Job When it comes to searching for a job online, we're pretty spoiled for choices. Whether it's using job boards like Monster, search engines like Indeed, and specialized sites like Idealist, there are a lot of... Read More , Nancy Messieh can help you out. Another useful resource is the jobs board on wordpress.net, which contains a wealth of advertised jobs, all of which can be aggregated by location. This jobs board is owned and operated by the creators of WordPress – Automattic. This is their flagship jobs board, and as a result enjoys a high degree of moderation. The scammy, exploitative jobs which pop-up like weeds in a field on other sites simply aren’t present here. I’ve also had success finding employment with Reddit in the past. The /r/forhire subreddit is the unofficial Monster of the popular link-sharing website, and matches potential employers with talented coders and developers, all of whom are active members of the Reddit community. At the time of writing, there have been just short of 2000 WordPress gigs posted on the /r/forhire subreddit. Whilst this is nowhere near the amount of jobs posted on Twitter each day, it is still a relatively significant number. At the very least, it represents something to keep your eyes on. It’s a phenomenally brave person who decides to enter the world of the freelancer. Being a freelancer is exciting and and empowering. It’s also scary, and a reason for this is the perpetual feeling that you’re out of your depth. You will almost certainly make mistakes, and you will occasionally yearn for the days when you worked a steady, stable 9 to 5 job. However, with a degree of motivation and a desire to learn from your mistakes, and from the mistakes of others, you can make a comfortable living. Are you a freelancer? Are you getting started as a freelancer? Got some thoughts on this article? Tell me about it. Drop me a comment below. Explore more about: Bluehost, Freelance, Wordpress. @Kevin I agree with you also. Many of these sites give people with little or no knowledge of web development. Although many people don't need an actual developer for many WordPress sites. 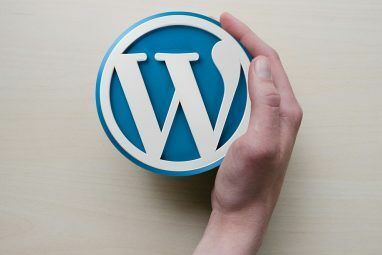 Someone with WordPress experience can easily hand small projects that cost small companies too much time to learn a new content management system like WordPress. Now if we go a step further in to the content management system hole with systems like CentralPoint by Oxcyon or SharePoint by Microsoft these are more of an enterprise solution this is when you would need a real developer with skills. Is working on oDesk or Elance that big of a stigmata over there? Just courious. I am asking because I find my self in the position where I am simply embaresed to bid for penny per hour jobs, like you said, but find it very hard to find clients willing to pay higher, considering we charge less then a plumber does in the US ... And development isn't exacly planting potatoes ... Some of us actualy go to university for it. Elance and oDesk are for outsiurcing, right? I don't expect a potential client to come knocking on my door paying 120$/h, though me and my team have provided support to a company that was paying it's in-house developer 120$/h ... Obviously, I am rather embaresed againg to make public the % of that money that we were payed to teach their developer the first thing about json. I guess what I am tring to say is that while the freelancer sites or freelancer cattle farms, how you like to call them are ok to get started, how do you actualy grow from there? Is there a secred cook book for getting high-end clients without any face time? I for sure would not pay without seeing who I'm paying too, so why would they? I also know that outsourcing kills local businesses, but that's what makes the word go around. So while a client is paying higher rates to be able to actualy shake the developers hand, do you think there is a way for good quality dev companies or freelancers to jump the fence of the cattle farms? Have you ever seen that happening in your experience? If a random guy approached me to fix my wp site on twitter I would probably mark him as spam or something on the spot without thinking twice. Please excuse the tiping... I'm lowsy typing on the phone. You state there are 18,120 WordPress developers on Elance and I am here to tell you there are no developers on Elance or any of these hard up farm job websites. Out of the 18,120 WordPress developers you say are there I would wager only about a dozen of them could pass even the most basic course on PHP/MySQL and make that a bakers dozen that have a clue what HTML/CSS even is. All of which put the term developer and we may as well just say it, web designer out of reach for these 5 dollar web builders that may or may not even have a high school education and don't support enough intestinal fortitude to read the instructions on how to boil Top Ramen! Real web developers don't need to use these freelance cattle farms to get work. Sites like Elance are where freelancers that are clueless on what it takes to be a real developer or web designer go because they target desperate people that dont have any money and need a website. More proof that a real developer would not be looking for work here! While I tend to agree with you Kevin, it could be a quick and easy way to get clients for web designers and or "wannabe" developers on freelancing sites. As the prices always are rock bottom on these sites (because of all the overseas "pennies-per-hour" wages) the client won't expect that high quality either (that they would get from a large design/dev agency with well educated employees) so it could be a good match. However, anyone with at least a little ambition should (and will, naturally) abandon those freelancing sites as soon as possible and get clients from other sources. But it's still a good option to get quick jobs.